Campus connections forged at s.. Donate coats for local kids at.. 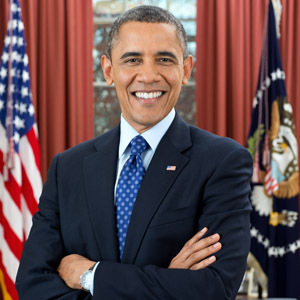 Anticipating a rare visit to the state of Tennessee by President Barack Obama, a majority of the state’s residents disapprove of the job he is doing, according to an MTSU Poll taken this past weekend. The news is even worse for Congress: Only 14 percent of Tennesseans approve of its performance. A 55 percent majority disapprove of the job Obama is doing, while only 30 percent approve. These figures are a few percentage points worse for Obama compared to spring 2013, the last time the poll measured Obama’s job approval statewide. But the difference is not statistically significant, so the decline since last spring may be due to random sampling variation. The poll’s margin of error is plus or minus 4 percentage points. Viewed across all of the president’s years in office, though, the president’s approval numbers show a slow and steady drop, according to Dr. Jason Reineke, associate director of the poll at Middle Tennessee State University. “Although the year-to-year differences are rarely significant, there is a clear trend in approval for President Obama going from bad to worse in Tennessee over time,” Reineke said. The president is scheduled to visit McGavock High School in Nashville Thursday to make a speech about jobs and the economy. Unsurprisingly, political party affiliation was the best predictor of Obama’s presidential job approval. However, approval of Obama has fallen to 66 percent among Tennessee’s self-identified Democrats, down from 77 percent among the same group in spring of 2013. Among Tennessee’s self-identified Republicans, 87 percent disapprove, comparable to the 84 percent who said the same in spring of 2013. A 57 percent majority of those who say that they are politically independent disapprove of the job Obama is doing as president, much like the 55 percent who said the same about a year ago. If political party affiliation — which is determined in large part by evaluations of the president — is set aside, the most important difference in presidential approval in Tennessee is attributable to race. Among whites, 64 percent disapprove, while only 21 percent approve, and the rest say they don’t know or refuse to answer the question. Among African-Americans in Tennessee, 81 percent say they approve of the job Obama is doing as president, while only 12 percent say they disapprove. However, the U.S. Congress receives an even worse evaluation from Tennesseans. Fully 72 percent of Tennesseans say that they disapprove of the way that the U.S. Congress is handling its job, while only 14 percent approve. Poll data were collected prior to the State of the Union address, from Jan. 23 to 26, via telephone interviews of 600 Tennessee adults conducted by Issues and Answers Network Inc. using balanced, random samples of Tennessee landline and cell phones. The data were weighted to match the latest available Census estimates of gender and race proportions in Tennessee.